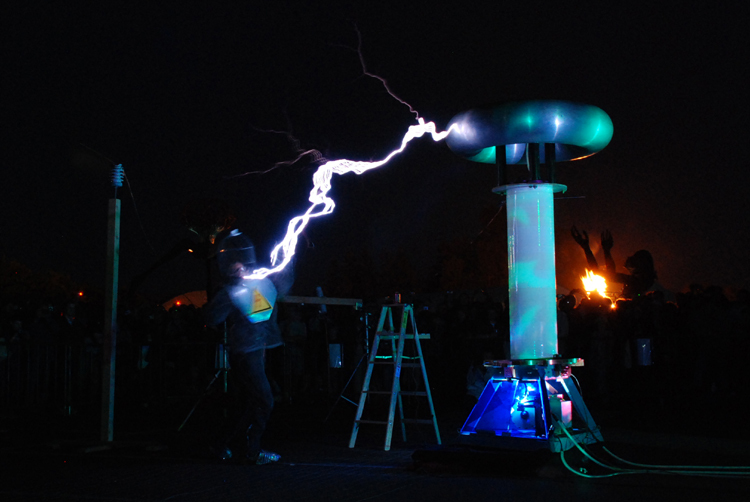 The folks who built this Tesla coil had a whole charade that went with their show. It involved rats who owned a power plant and employed humans to do the dirty work. Here is a human (in a protective Faraday cage) tending to the plant while the giant woman burns in the background.